The belt sander B JH ost woodworkers consider sanding a aggressively removes llf I chore, and rank it right up there with nicks and scratches IW1 taking out the garbage, which —in a and flattens stock sense—it is. It's taking out the scratches, nicks, quickly, and milling marks left by various tools. Well, portable belt sanders can help with this nasty job. They remove stock quickly, clean up rough surfaces, and flatten glued-up tablctops and panel assemblies. Though they can't beat hand planes when it comes to perfectly flattening stock, belt sanders will smooth woods with wavy, interlocking, troublesome figure without tearing out the grain. 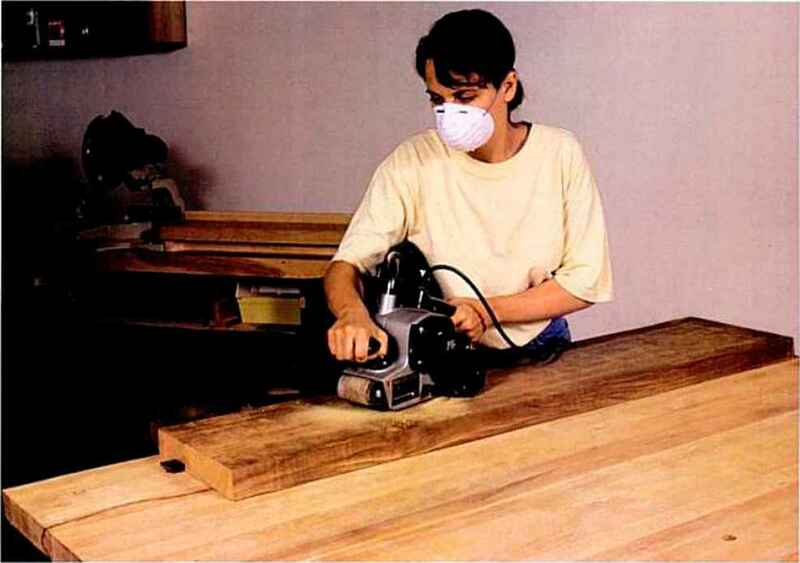 In skilled hands, they're capable of finer work too, although belt-sanded surfaces usually require additional smoothing (with an orbital or random-orbit sander) before finish is applied. sanders for shaping and smoothing small parts. To remove wood, belt sanders use a continuous abrasive belt which is held in tension around two rollers. A universal (brush-type) motor drives the rear roller and thus the belt. A flat platen between the two rollers serves as a backing plate for the belt where it contacts the workpicce, helping the belt sander produce flat surfaces. The spring-loaded, freewheeling front roller retracts for changing belts. A tracking mechanism, usually operated by a knob on the side of the sander, adjusts the angle of the front roller to keep the belt centered on the rollers and platen. Several lightweight consumer models from Black & Decker. Skil, and Sears have an automatic tracking system that requires no user adjustment. On heavier models, though, the belts are under t(X> much tension to make these devices efficient. 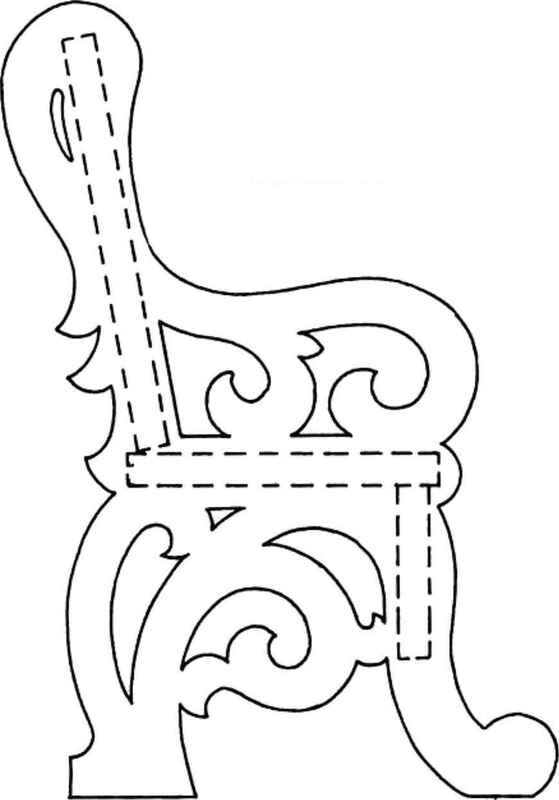 A bell sander s size is determined by the width and length of its belt. The most common sizes are 3x21 in., 3 x 24 in., and 4 x 24 in. Smaller sanders generally don't remove stock as aggressively as larger models—but they're lighter, easier to handle, and generally less expensive. 'l"hc smaller belts also cost less. Larger models are more useful if you do a lot of panel-sanding and flattening of wide, glued-up assemblies. The sanding efficiency of any model, however, really depends on lour factors: bell speed, motor power, weight, and platen size. Sitting up at the table. Some models, like the DeWalt machine shown here, have inversion stands that let you mount the sander horizontally or vertically on your bench.